Projects designed by the Active Transportation and Street Design Division take a “complete streets” approach. 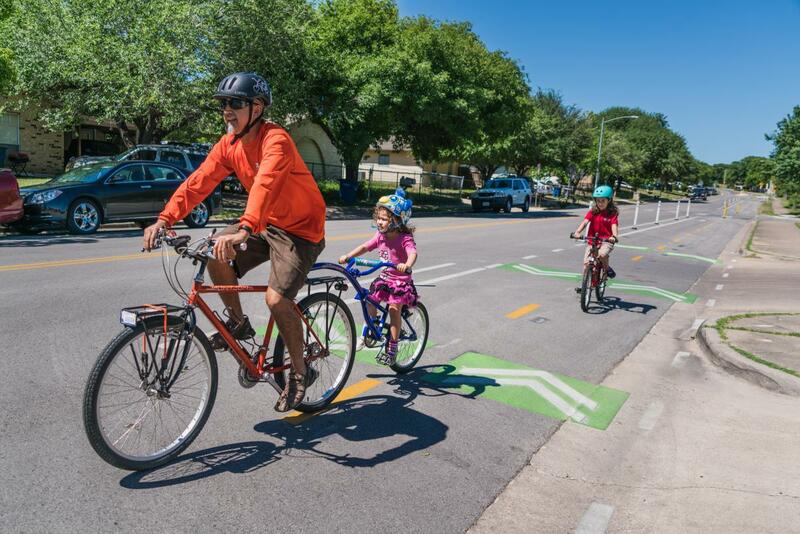 They improve streets for walking and biking – and travel by all modes. Complete street designs allow people of all ages and abilities to travel safely, comfortably and conveniently. The way a street is designed strongly influences people’s choice of travel modes – and their experience of safety and comfort using active transportation. Projects are listed alphabetically, with public notifications linked. Other materials are included when available. The 2016 Mobility Bond dedicates $20 million of Local Mobility funding for "for bikeways for transportation and mobility purposes." For more information about projects funded by the 2016 Mobility Bond, please click here.